Jane Austen was born in the Steventon Rectory, Hampshire, England in 1775. Today is the 237th anniversary of her birth. 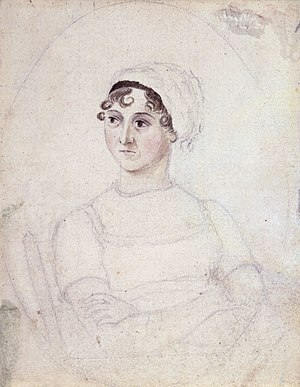 The second youngest of eight children, Jane was also the younger of two girls in the Austen family. As was the custom for a family of the Austen’s class and means, baby Jane was sent to live with a wet-nurse, Elizabeth Little, until she was 18-months old. She was very close to her sister Cassandra and the two girls, along with their cousin Jane Cooper, were sent to Mrs. Cawley’s school in Oxford when Jane was 7. The school moved to Southampton when measles broke out in Oxford. But Southampton proved no safer. Typhus broke out there and all three girls caught the disease. The girls came back to Steventon where they were home schooled for a year before going to school at Mrs. La Tournelles (aka Sarah Hacket) where the girls received instruction in spelling, needlework and French. But by 1786 she was back home, this time for good. Jane had six older brothers: James, George, Edward, Henry, Francis and Charles. By 14 she was writing to entertain her friends and family, penning such comedies as Love and Freindship (sic) and the parody A History of England by a partial, prejudiced and ignorant Historian. She collected 29 of her stories into three bound books, now known as Juvenilia. In 1793 she began to write longer works in the epistolary style. Lady Susan was one such novel in letters. She wrote Elinor and Marianne in the same style before she rewrote the work as a third person narrative and changed the title to Sense and Sensibility. …until Mr. Austen died in 1804. By 1806 the ladies had left Bath for good, and moved Chawton in Southampton. As soon as they had settled in their new home she renewed her writing in earnest . In 1811, Thomas Egerton, a military Library publishing house printed 750 copies Sense and Sensibility, largely on Austen’s dime. The book sold out of its first edition by 1813. And Austen eventually made 140 pounds on it. 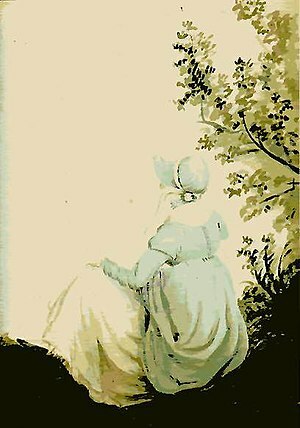 It appeared under the pseudonym “A Lady,” and Austen carefully guarded her anonymity . In May of 1814 her third novel, Mansfield Park was published. It sold out in six months. In 1815 she began working on Persuasion. By then her health had begun to deteriorate. She completed the first draft by 1816 and began The Brothers which later became Sanditon. Her condition rapidly worsened. In May her bother Henry took Jane to Winchester for treatment, but on July 18, 1817 at the age of 41 Jane Austen passed away. 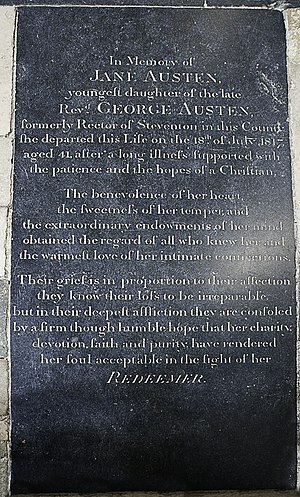 She was buried at Winchester Cathedral. 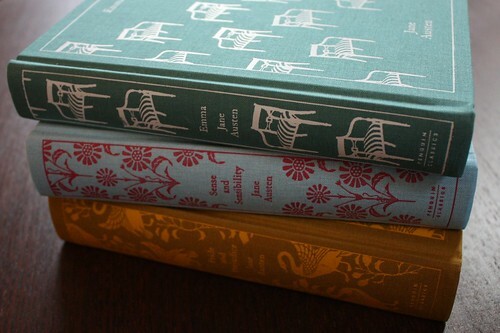 Ooops forgot to link to my own blog on the Pride and Prejudice Essay Contest! This entry was posted on Monday, December 17th, 2012 at 2:36 am	and tagged with Chawton, England, Jane Austen and posted in Emma, Fiction, Jane Austen, Literature, Mansfield Park, Mr. Darcy, Northanger Abbey, Persuasion, postaday, Pride and Prejudice, Sense and Sensiblity, Thought of the Day, Today's Birthday, Writing. You can follow any responses to this entry through the RSS 2.0 feed. « Secondary Character Saturday: Piglet!